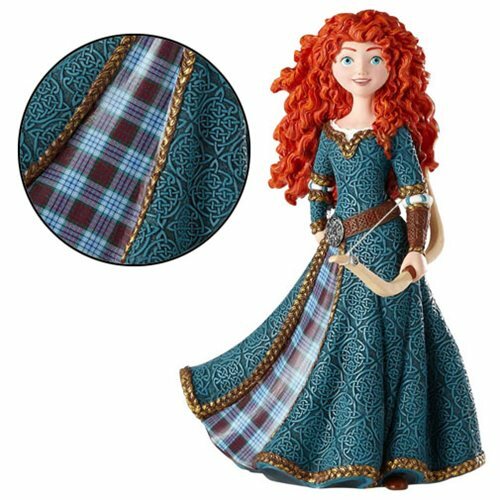 With flaming red hair and her bow in hand, Princess Merida of DunBroch is breathtaking in her gorgeous gown in this astonishingly detailed Disney Showcase Brave Merida Couture de Force Statue from Enesco. Made of polystone, the star of the 2012 Disney-Pixar film Brave stands about 7 9/10-inches tall. Don't let her get away!